Once again I have turned to my Pinterest account to gather inspiration – this time – of the Autumnal variety! As we head into the colder months, I’m looking forward to chunky knits, peter pan collars, cosy socks and hot chocolate. I found lots of gorgeousness and so today, I’m sharing my very favourite finds with you! What do you think? Do you have a jumper/sweater that you love to get out from the back of your closet around this time of year? Let me know in the comments below! Love the inspiration! So gorgeous! 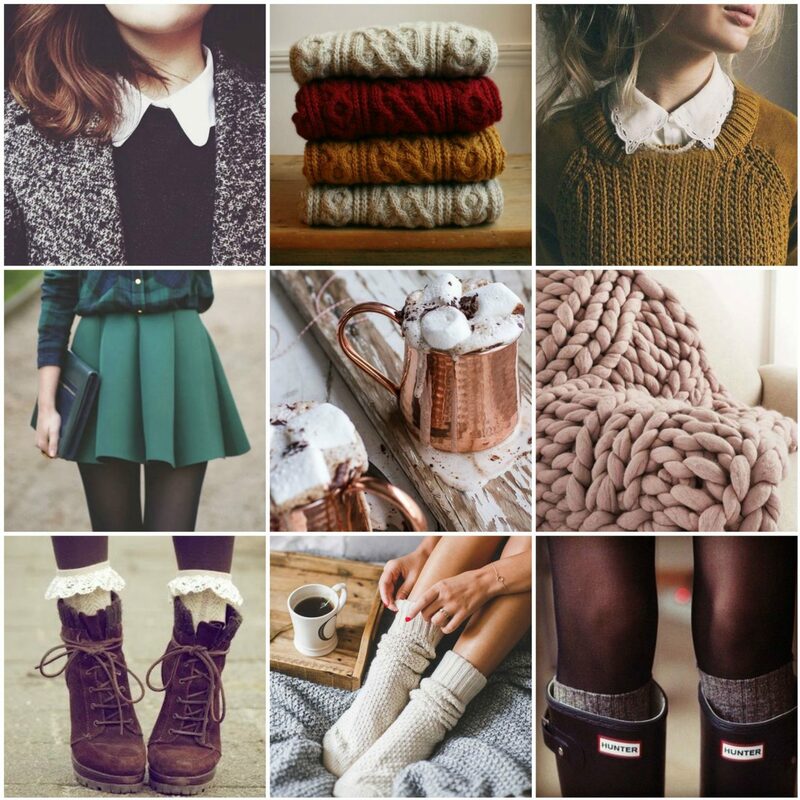 These are the perfect images for fall! Now if only the cooler weather would get here for good!